Plantar Fasciitis: Quick Tips For Effective Conservative Management. 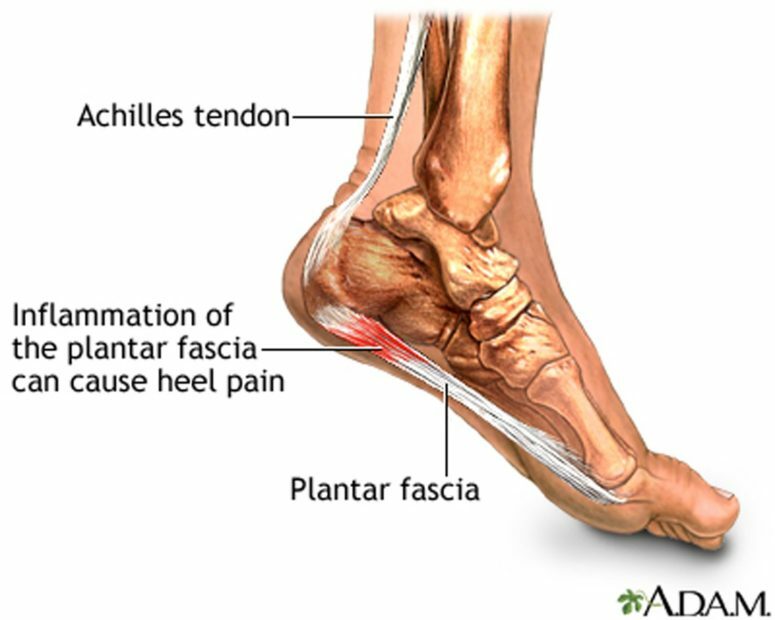 Plantar fasciitis is a common condition of the bottom or plantar surface of the foot in which primarily the plantar fascia, a supportive structure in proper foot biomechanics, is irritated and stressed to the point that it becomes painful. In many cases, the pain can be severe enough to alter or even disallow walking. Plantar Fasciitis. Digital image. Plantar Fasciitis. MedlinePlus, n.d. Web. 17 May 2016. For clarification, in order to establish the correct line of treatment it is best to be diagnosed and managment by a health care professional (MD, DC, DPT, DO, etc). Depending on the health care professional you seek out, you will have different strategies of treatment. For those that are specifically looking for more non-invasive, conservative options and are willing to invest some extra effort in order to maintain function, there are multiple approaches to consider. Here are three of them. Since your body does not exists as a bunch of structures that are independent of each other, in any injury it is always wise to to consider causative factors within the region. In the case of plantar fasciitis, this is often going to be calf and achilles tendon tightness. As you may be able to tell from the above picture, the achilles tendon is practically a continuation of the plantar fascia structurally. Biomechanically, stress is absolutely transferred from the achilles tendon and plantar fascia. In plantar fasciitis, there is an all to common correlative cause between tight calves and achilles, which is backed up with increased success when therapy extends to the calf muscles. Work your calf muscles out either by stretching or by utilizing eccentric training to help better adapt the achilles to stress. An example of this would be standing calf raises with a 3 or 5 second eccentric or down phase followed by a one second hold and stretch on the bottom of the movement. In plantar fasciitis, the most painful times for those with plantar fasciitis are typically in the morning as soon as you get up from bed, and after long periods of sitting or relaxing (i.e. not up and walking). This is because during sleep and periods of non-usage, the plantar fascia, calves, etc begin to tighten up again as they are no longer being stretched by walking and are subject to less blood flow during this time. Once an individual has tightened up again, they often experience increased pain, as this tissue is essentially re-tearing from the stress of walking. Ice massages and foot rolling are great DIY therapies in addition to other therapies you may be receiving because they are effective, and allow you to address the condition when it is at its worst. This improves your ability to function throughout the day in turn gives you a role in your own care. They are also SUPER EASY. 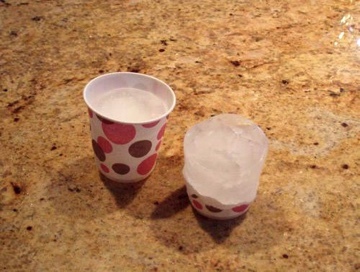 Freeze water in a cup. Peel off the outer layer. Massage your foot to decrease pain and loosen up the plantar tissue. Roll the bottom of your foot from the heel all the way through the arch near the toes. Increase the weight you place on the foot as you work through the exercise to toleration. *Side note* – DO expect to be tender initially until you have loosened up the plantar fascia. There are multiple bones and joints in the foot, and like all other bones and joints they are there to move and transfer forces in order to allow proper function. In the case of the foot and ankle, we are talking about the joints that are the beginning of a huge majority of our interaction with our external environment. Patterns of walking, running, squatting, and balance can be drastically affected at the foot due to the movement and transmission of forces which are unique in this area. This is why a biomechanical assessment of the foot by a health care professional is important. This type of assessment is necessary to ensure joint motion of the foot, specifically in the hind and mid foot when dealing with plantar fasciitis. If these joints are fixated or the foot is collapsing excessively, excessive stress will be dealt to the foot. As joint assessment and manipulation is a staple of chiropractic treatments, a chiropractic evaluation would be a wise choice. All too often in plantar fasciitis, the joints in the foot are not evaluated for proper motion. Restoration of this motion may be the last missing piece of the puzzle for a case which will not completely heal.